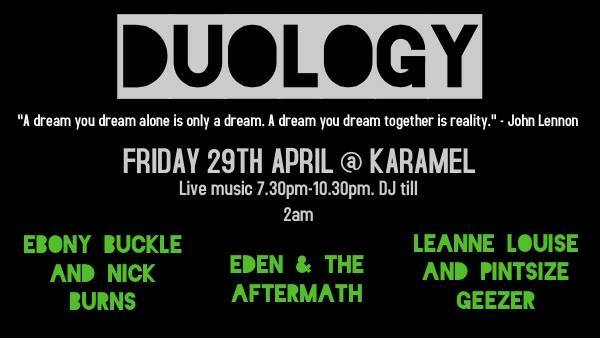 On Friday 29th April 2016, Karamel presents Duology, a night of live acoustic music collaboration, featuring some of London’s finest songwriters and performers. Karamel is becoming a renowned music venue and has recently hosted acclaimed artists such as BBC Radio’s Tom Robinson. Karamel also offers ethical food, craft beer, organic wine and cocktails. After the live music, The Duology team will be hosting a DJ until the early hours of the morning. Music starts at 7:30 pm and entry is free!